Max Lucado explores what it is to be "saved but stuck." He encourages readers to leave fear and worry back in Egypt as they continue on to the promised land. 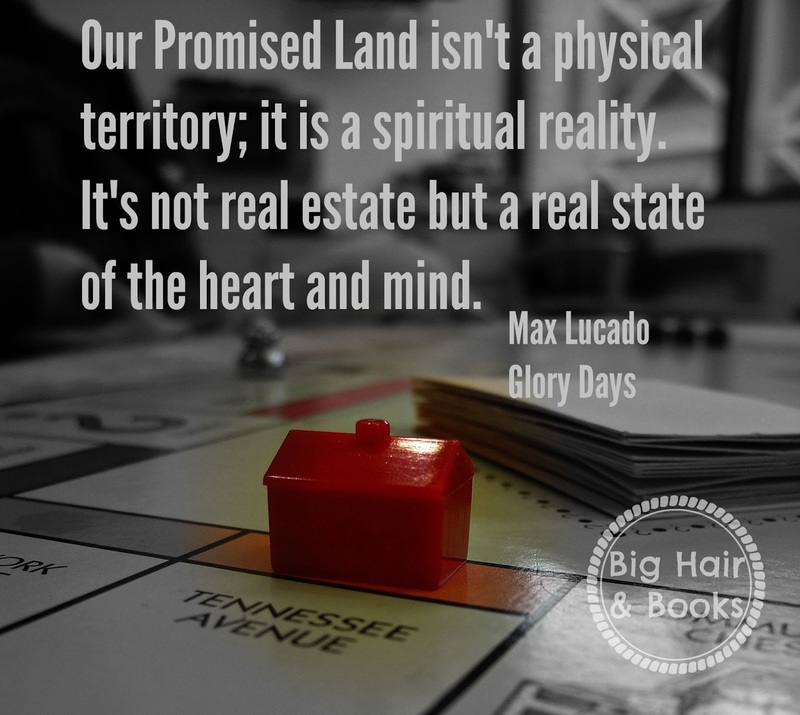 I first fell in love with Max Lucado's words through his children's books. The day probably won't come that I don't get a little bit teary eyed when reading Just in Case You Ever Wonder. But Glory Days is a grown up book about grown up problems. Using the story of the Israelites escaping slavery in Egypt and moving on to the promised land, Lucado prods believers on their own, telling readers to "deliberately receive what God so graciously gives." He reminds us that we are each given gifts that make us unique and that put us in a position to live in glory. You will want to read this book. It is scripture-rich, motivating, and encouraging. Thanks so much to Litfuse Publicity for providing a review copy!